While ensuring PCI Compliance through NNT Change Tracker and NNT Log Tracker. NNT Ltd, a global provider of PCI DSS and general security and compliance solutions, announced today that Public Interest Communications (PIC), a leading telephone-based fundraising organization operating on behalf of the most successful non-profit organizations, associations, public policy and political and cultural institutions in America has implemented NNT Change Tracker and NNT Log Tracker to secure its customers credit card data, meet its PCI DSS (Payment Card Industry Data Security Standard) obligations and secure its entire IT infrastructure from both external and ‘Insider Man’ threats. NNT Change Tracker and NNT Log Tracker has been deployed across PIC’s three US offices, a multi-platform environment which serves 400+ employees and contains 135 homogeneous workstations as well as servers ranging from SCOUnix to Windows 2008. 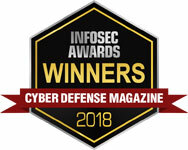 As an integrated SIEM, CCM and real-time FIM solution, NNT provides PIC with a functionally rich yet straightforward to use, and affordable solution that enables them to capture event details, establish whether the event has altered the compliant state, reveal who initiated the event and whether or not it was part of a planned change. As the NNT solution monitors the network at a forensic level and guards against breaches by alerting to and highlighting unusual activity, it is able to keep organizations secure and on top of what is happening across their IT infrastructure.